Envelope Chair Backer and Giveaway Winner! Heather of My Shabby Dream! 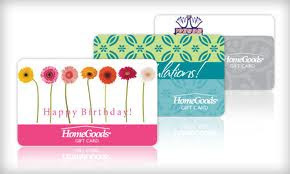 Please send us an email with your address and we will get your HomeGoods card in the mail to you. And, thank you SO much to the rest of you who not only came over to enter the giveaway, but also left us such wonderfully sweet comments as we celebrated our 1 year Blogiversary. To say we were overwhelmed would be an understatement for sure! And now for a short and sweet Valentine’s Project! I spotted some cute Valentine’s Day towels in the $1 bins at Target a couple of weeks ago. Is it just me or do those bins just call out to you? I try to steer my cart away from them but the force of the bargain just pulls it back in! Pottery Barn Kids on Pinterest. Now, if I had been willing to give an extra 10 minutes of my time and a little more energy, I probably could have recreated these more accurately. But, you know what? I didn’t wanna! Here’s what you’ll need to make these. And this is going to be a really tough Tutorial so prepare yourself! Turn your towel over so that the pattern you want showing is facing down. Fold your towel a little more than half-way up. Using “No Sew” or any other kind of liquid stitch, glue the edges in place. Fold in each corner so that they meet in the middle and create a point which will be where your “envelope” opens. I warned you that this would be a challenging tutorial….stick with me folks! Liquid “stitch” it in place. I went back and added a little more glue to these corners just to secure it better. Add a button for the cuteness factor! Tie a fancy ribbon around it to distract anyone from realizing it’s a dish towel. And hang it on the back of your kid’s chairs. Oh look! Someone already has some mail! “Dear Mommy, we know we look at you like you are crazy when we see you doing things like gluing a dish towel into the shape of a giant envelope. But, you know we love you anyway! 15 Comments on "Envelope Chair Backer and Giveaway Winner!" This is really cute, Vanessa! Congrats to Heather! That’s such a cute idea! I love it! Your kids probably really appreciate these projects more than you know. That would be cute for a classroom project too. That’s an adorable project Vanessa. Congrats to Heather on winning your awesome giveaway. Love this idea! I just found out my kids’ preschool doesn’t exchange Valentine’s 🙁 so I have to do something for them, and this would be soooo easy! Thanks, Vanessa!! Oh my gosh Vanessa that is so cute, I love it! You could make these for every holiday!! Hah! Hah! This would be my husband’s reaction. Love, love that this is a no-sew project. Love it! Congrats to Heather! Have a great day!